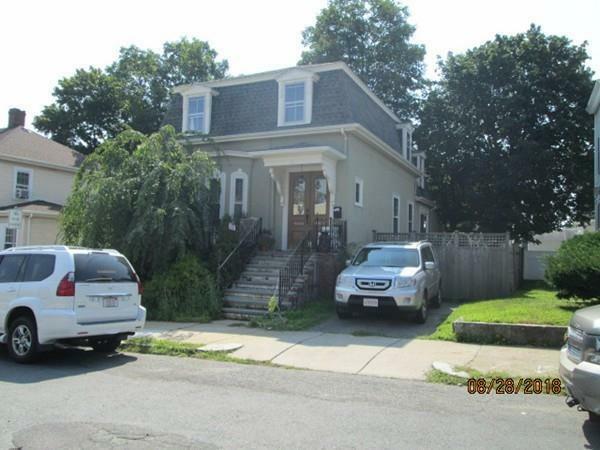 Mansard Colonial in the heart of downtown near everything shopping, transportation, House has been a 2 family currently being used as a single. First floor has 2 BRs newer Kitchen with granite and newer bath and good size rooms. Second floor has 1 BRs and bath, Kitchen has been removed but pipes in walls remain. There are 2 driveways one on each side parking for 3/4 cars. House needs TLC great for contractor or flipper and is being sold as is. Buyer to do own due diligences.